Created by Aylesbury Vale District Council. Powered by Spacehive. Crowdfunding is a fantastic way to turn unique project ideas into reality and we want your help to transform shared spaces, inspire visitors and enhance Aylesbury Vale. Aylesbury Vale District Council uses Spacehive to help you create, fund and deliver your project idea. If you've got a project idea which will help our local communities, then we want to hear from you. Just make sure your project has significant local support and a local need. However, we're interested in all new and innovative project ideas which will help benefit local communities in the Vale. 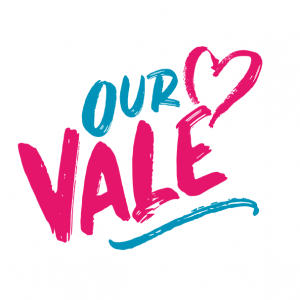 We want the Our Vale fund to empower residents to: play a greater role in shaping their communities; further AVDC's objectives to make places better; meet demonstrable community needs; and encourage strong community support and involvement. Projects don’t have to address all of the above, but when we are reviewing applications for funding we’ll be looking for projects which can best support these points. 7. Hit your target and get the project up and running! Make sure to plan in advance and submit your application on time to be considered in your chosen funding round. It's not just us supporting projects. GLL, Esmée Fairbairn Foundation, idverde UK and 1 other organisation are active too, with £305,000 of funding and in kind support on offer.